Spend 98% less time shredding, save time and money with Auto Feed shredders. This large office shredder – ideal for over 20 users – shreds up to 825 sheets (70gsm) or 750 sheets (80gsm) automatically in to approx. 400 4x40mm cross cut pieces each (P-4). 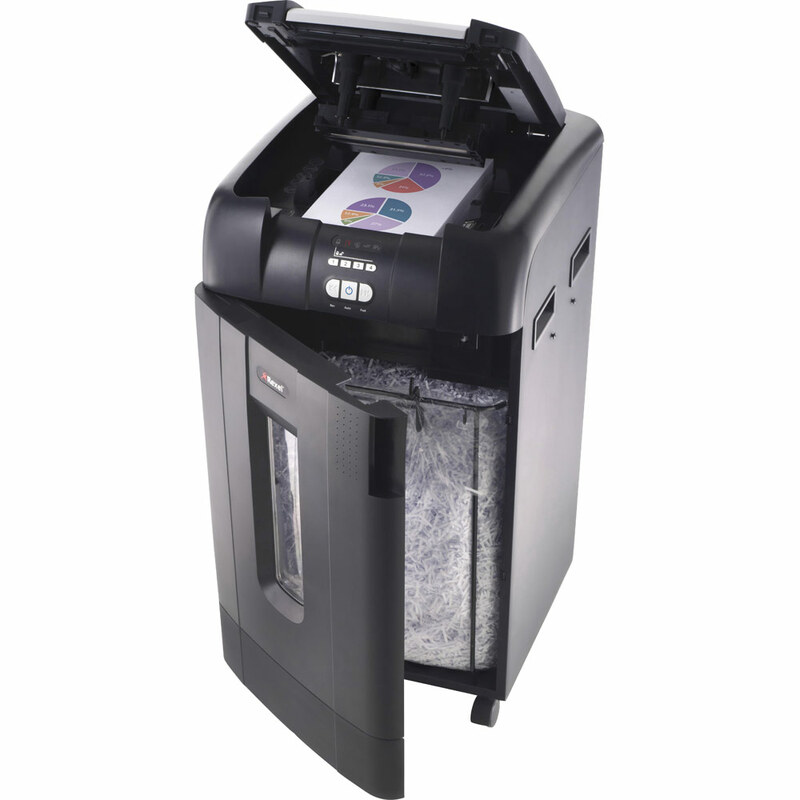 With the Auto+ 750X shredder you do not need to stand and feed it, or even remove staples or paper clips first. It has an automatic feed and a 115 liter bin so you can load up to 825 A4 sheets and leave it to get on with the job.